Baptism is the rite of initiation into the Christian community and serves as the definition for our understanding of the work of ministry and mission in the Church. The Church declares itself to be part of the Resurrected Body of Christ in the World. Baptism marks our community as having a covenantal relationship with God. Through Baptism we profess our faith and trust in God who is the source of creation; the One who in Jesus exhibited a profound love for humanity. Please complete the Baptismal Request Form or contact the parish office (201.792.3563) or by email. Baptisms take place during the regular worship services on the appointed Sundays. Please indicate your preferred date and service on the Request Form. Note that this form should be submitted online or returned to the parish office (701 Washington Street; Hoboken NJ 07030) at least 3 weeks prior to the requested date. Thank you for your interest in baptism, and we look forward to welcoming your child into the household of God! Adult baptism is also available. Please contact the parish office to discuss. We would be delighted to speak with you about celebrating your marriage at All Saints. For more information or to make an appointment with the clergy, contact the parish office (201.792.3563) or by email. You may find more information about fees here. Confirmation is the opportunity to make a public affirmation of one’s faith in God that was previously declared by godparents at Baptism. Confirmation is performed by the Episcopal Bishop of Newark and is appropriate for a person in 8th grade or above (16 is when a person can become a voting member of a parish). 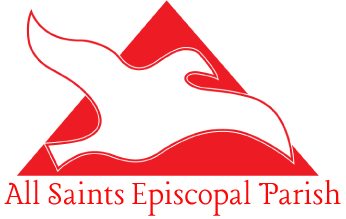 Reception is available for anyone previously confirmed in another denomination and who would now like to either renew or reaffirm his/her faith and commitment to the Episcopal Church. Re-affirmation is the opportunity for members of the congregation to renew or reaffirm their faith before the Bishop. Persons often elect to re-affirm their faith because they have returned to Church after a long absence, have had a spiritual awakening as a result of a personal experience, or are deepening their commitment or service to Jesus or the Church through an elected leadership position, a new ministry, etc. Preparation for Confirmation, Reception and Re-affirmation involves a period of preparation, including opportunities to learn about The Episcopal Church and to serve the community. Those being confirmed for the first time will be connected with a sponsor from the congregation who serves as a guide and a mentor into All Saints. The Burial Office celebrates the power of our God to transform our lives even in the midst of death. We gather around the deceased for comfort and sorrow over the loss and to give thanks for God’s gift of the life of the departed. We encourage people to gather in the Church for a Christian Burial. The Church provides the opportunity for us to gather around the table where we celebrate the hope that heaven and earth are united. Here at God’s Table we are nourished with the hope in God’s Word and fed with bread and wine that signifies to us the presence of Christ. Contact: Upon the death of a loved one, the clergy of the parish should be contacted immediately. Call the Parish Office at 201-792-3563.